86 years, 7 months, 3 days old age. Master Mathan will turn 87 on 19 September, 2019. Only 4 months, 27 days, 21 hours, 49 minutes has left for his next birthday. Master Mathan has celebrated the total number of 86 birthdays till date. See the analysis by days count and bar graph. 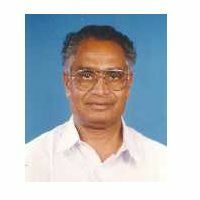 M Master Mathan was born on 19-09-1932 in Nilgiris in the state of Tamil Nadu, India. He is an Indian Politician.